saturday morning is one of my favorite times each week. a trip to the market, time to enjoy my coffee, NPR on the radio, playing around in the kitchen. 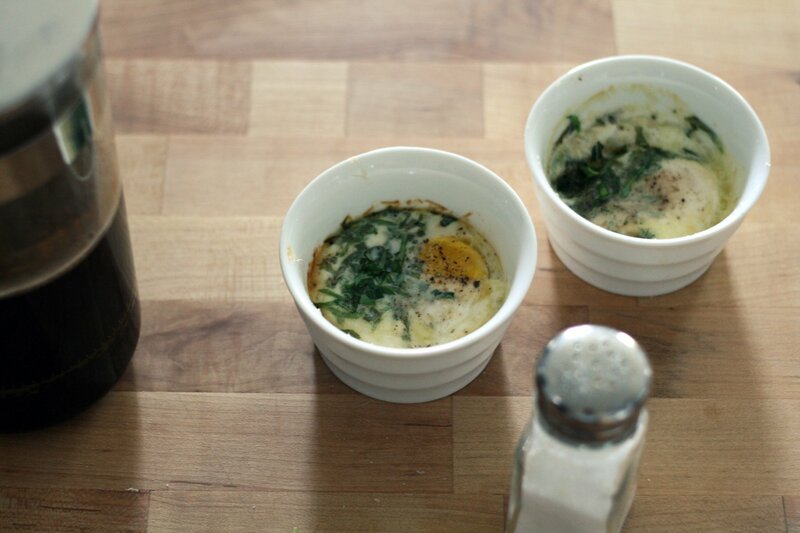 this saturday, i make baked eggs for breakfast. why haven’t i made these before? so easy, and delicious. they feel sort of special – the kind of thing you might want to serve at a brunch for friends. i butter ramekins really well, add a bit of milk, and carefully break an egg into each. top with a small pat of butter, fresh herbs (i used rosemary and basil), salt and pepper and a bit of fresh parm. into the oven for 15 minutes and breakfast is served. 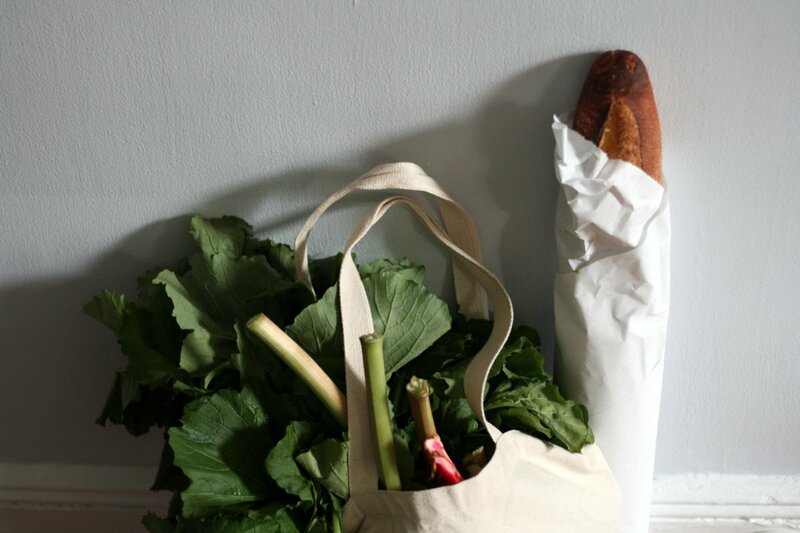 the biggest excitement at this saturday’s market is the arrival of the radishes. i slice them thinly, butter a fresh baguette (no, i did not make my own butter this time) and sprinkle them with sea salt. is there anything better for a quick lunch? 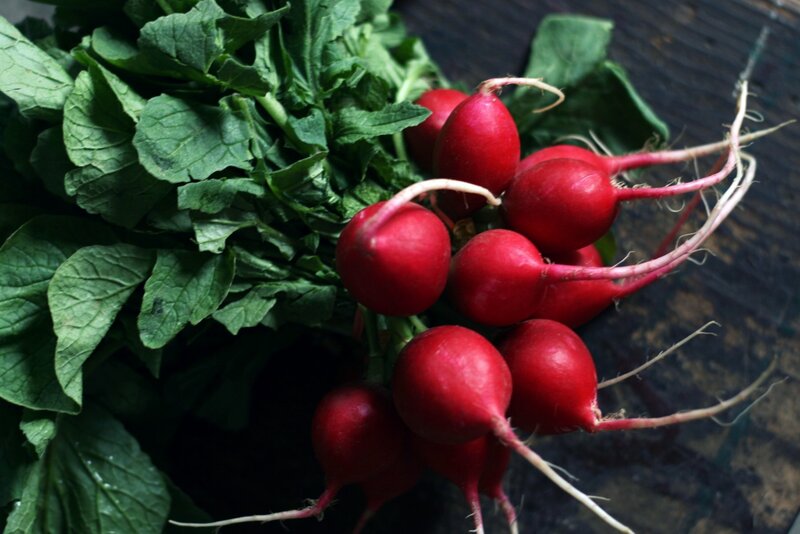 i end up eating radishes like this all weekend long, and it is pretty great. and after a long day, i don’t know if there is a more welcome sight than a friend with cold beer. for dinner, i throw together some broccoli rabe from the market, sauteed with chilies and garlic, tossed with pasta. mmm. on sunday, friends and i spend most of the afternoon braising beef tongue, as part of a ‘game’ started by our friend andrew. in ‘the meat game’, each team is challenged to cook an uncommon cut of meat each month. may’s choice is beef tongue. i won’t share the photos here (it looks, not surprisingly, like a huge tongue) but i will say this — it tasted good. i know! (and it is even better for breakfast the next morning). “Jamie at Home” (TV show and book) is a favorite, but the Food Network has moved him from Saturday to Friday mornings, and I’ve missed a few episodes. I love to watch him do what he does, and he seems to connect with food, appreciate its beauty and essence as well as its flavor. 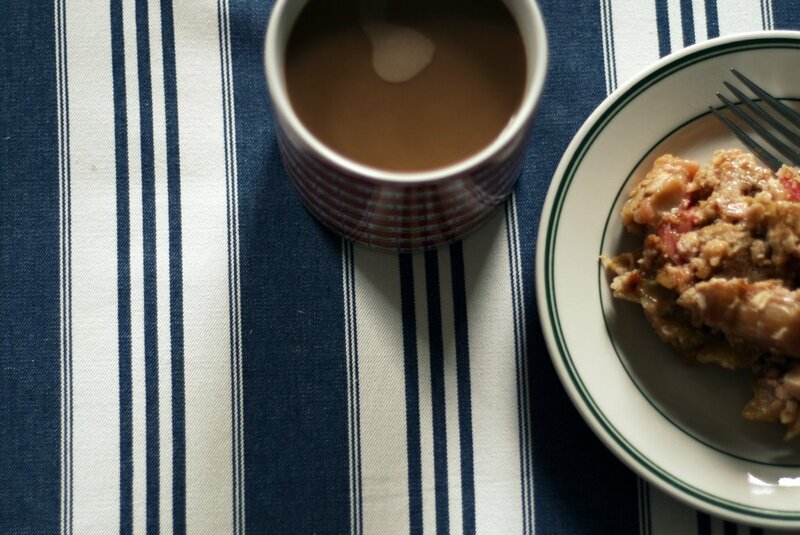 Usually we don’t get rhubarb in the Deep South, but I think I might try baked eggs, though cooking something (like rice) in the oven always seems like cheating. Pop it in, walk away, retrieve it when the timer goes off. Lovely post; thanks. Seriously hungry now, especially for the breakfast you had. I was daydreaming about broccoli rabe all weekend. (Can’t find it here.) I even cut my broccoli into long strips to “pretend” the other night. Brooklyn Brown is one of my faves. And please don’t even get me started on the radishes. ‘general green’ in fort green makes some amazing based egg dishes – i think you would love them. they involved grits, egg, bacon and tomatoes. also, lovely photos, as ever. Such simplicity and deliciousness going on here…love the top photograph especially. absolutely love these photos and description of your saturday morning. deliciously relaxing. on the best weekends, mine are quite similar–and i’m already excited to jump into the long weekend ahead of us. thanks for the monday morning smile! I hope your week is off to a great start! Beautiful; and now I suddenly feel starved for lunch. These photos are perfect. 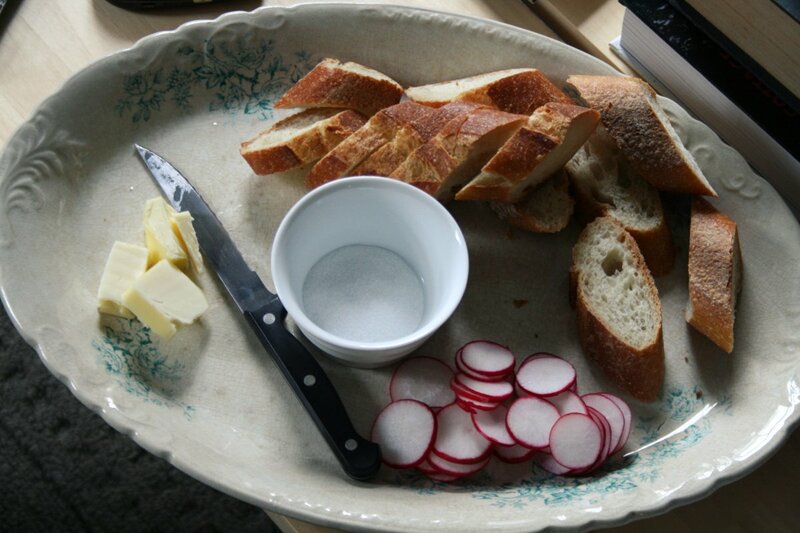 I’ve been addicted to radishes my whole life, but after A Homemade Life, the radish+buttersalt+baguette combo is all I can think about once cocktail hour rolls around. And where, pray tell, are those ramekins from? You have the best way with simple. you make me want to run to my kitchen. Hi Brian, I tried your baked eggs recipe this morning, and it was wonderful! Thanks so much. Love your blog. Oh, Brooklyn Brewery! :) We still have the cups from the two tours we took… we use them when we go camping and remember good times. 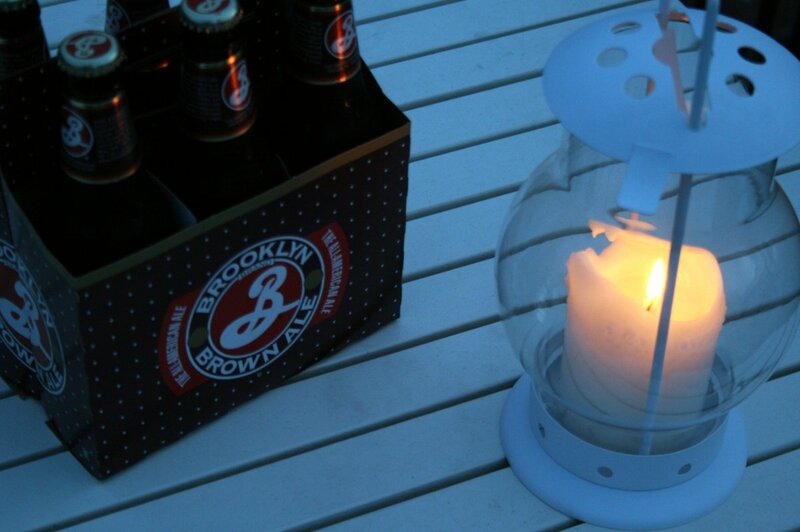 My sister lived in Brooklyn for a while, and the night my husband and I got engaged (we were in Brooklyn), we drank Brooklyn Brewery beer and tried to escape the insane heat wave in my sister’s air conditionless apartment.